Over time the performance of Windows 10 tends to get worse, one thing that causes this decline of performance is the fragmentation of the disk. 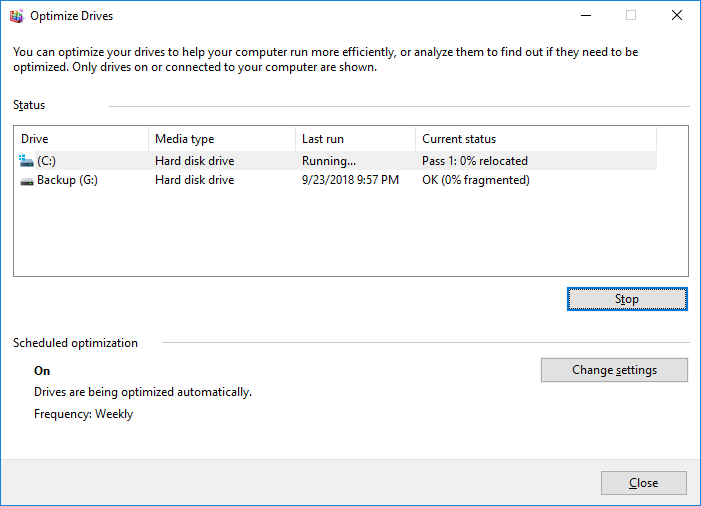 Windows 10 brings a tool to help you defrag your hard drives, there are other external programs, but we are going to focus on the one that comes in the OS. Maintaining an optimized hard drive and with its performance properties always at the maximum level is a task of great responsibility and care since if we mistakenly erase a file from the hard drive system, we would ultimately affect the stability of the equipment. Note: Disk defragmentation should be done from time to time and not spend a lot of time without doing it, the more time passes, the slower the OS will return and the next time you execute this task it will take longer to complete. 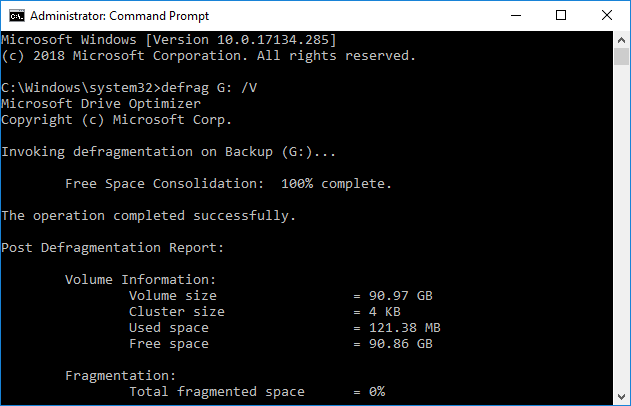 Let’s start to see how to defragment your hard drives in Windows 10 with steps. 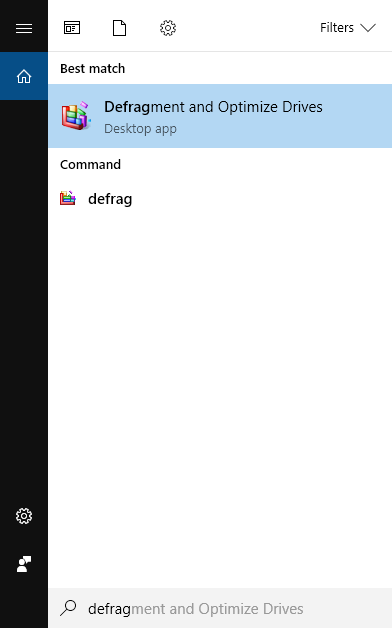 The first thing you have to do is run the Optimize tool, for that in the search box type the word defrag. 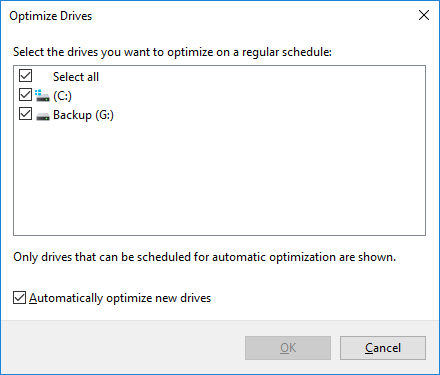 The Defragment and Optimize Drives appears, Click on it. This will take a while, depends on the size of your disk. As a result, it will tell us the % fragmentation. Note: If the disk you use is SSD, the analyze button will probably turn you off. Now that the % fragmentation of the disk after the analysis, in our case is 0%. 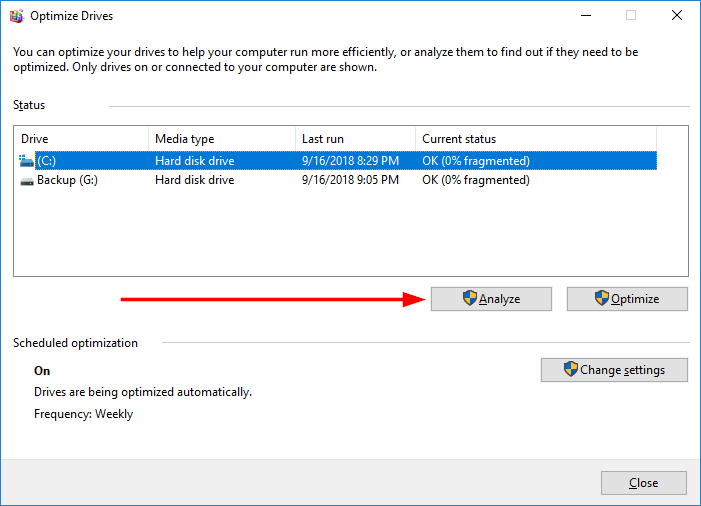 It’s important to have this % below 10%, so if you have some fragmentation on your hard drive click on Optimize to start the defragmentation. 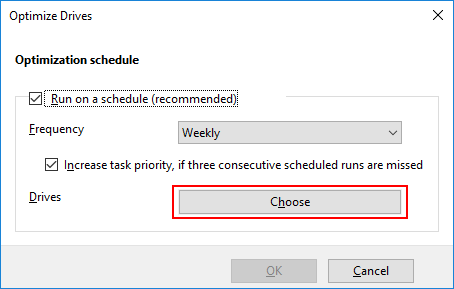 Now you will learn how to schedule defragmentation in Windows 10. Note: SSD disks will not appear, if for some reason it seems in the window, leave it unchecked. There are a series of parameters that you can use with defrag. Follow this link to see a list of them. As you can see, the defragmentation of G volume completed successfully. Remember to change the volume G for one of your hard drives. 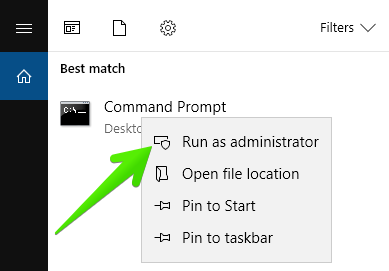 As you have seen, it is effortless to defrag your computer in Windows 10, improving the optimal functioning of your system.